My friends and I went to a gaming store (big shocker there!) and one of the employees (or possibly the owner) had a treat there. 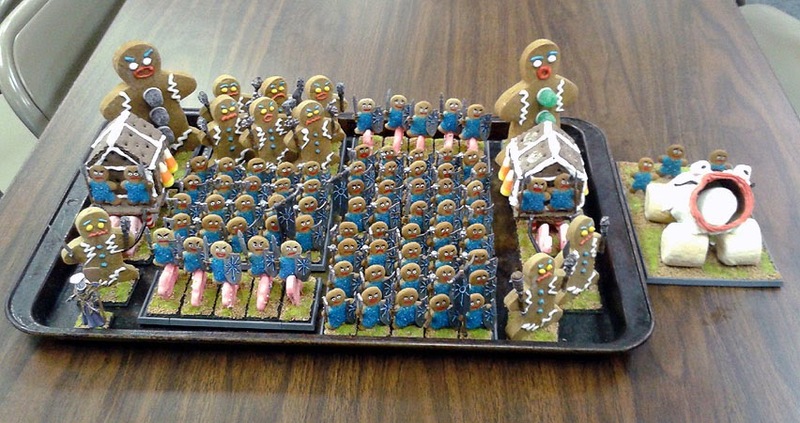 Enjoy... the Gingerbread ARMY!!! The whole army is on a baking sheet, BWAHAHAHAHAHA! This sorcerer created the army, so he was modified for a chef's hat and bread paddle for a staff. Just so funny. More ogres and a giant troll in the background.